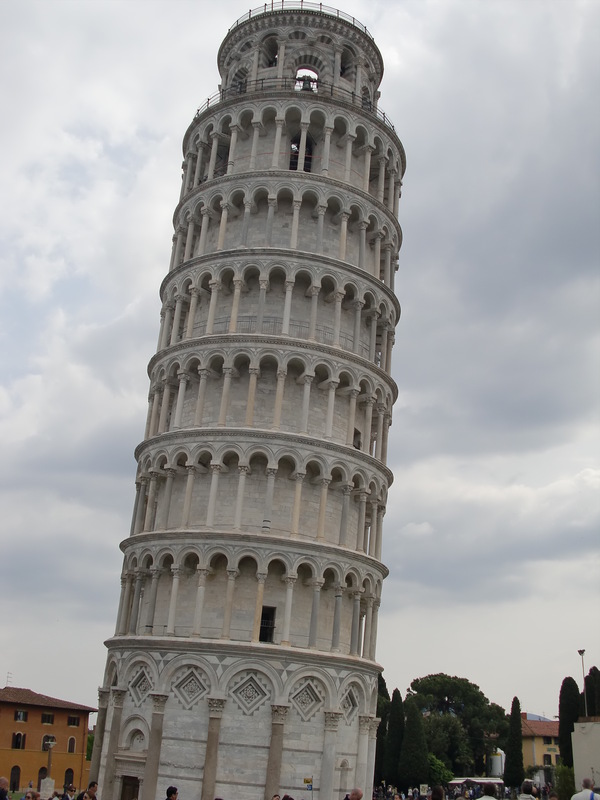 Before his firecracker incident, Bubba claimed he was summoned by the city fathers in Pisa to straighten out a leaning tower. While we didn’t quite believe him, we went with him anyway. 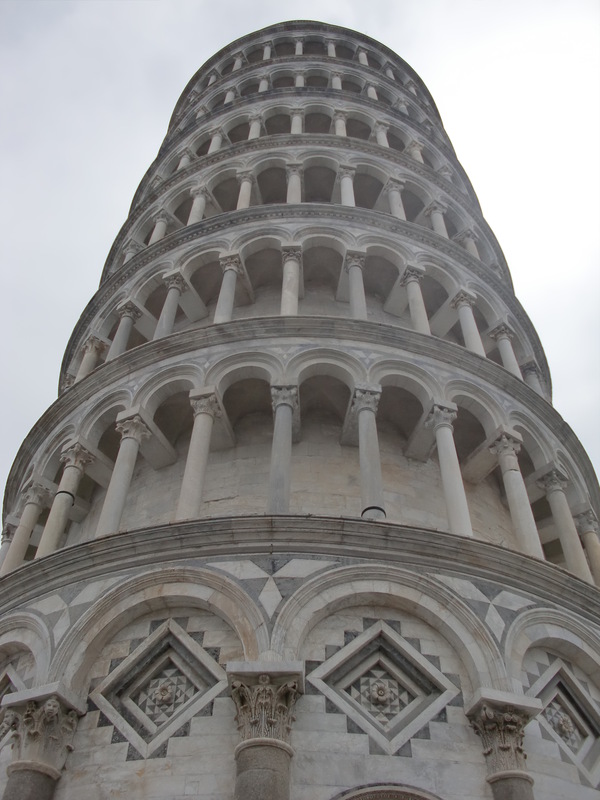 Not far from Florence is the city of Pisa. Pisa has some great old buildings but one of them seems to be broken. It has a bad lean to one side. If they had only used the stacking blocks that I am used to they wouldn’t have had that problem. After an extensive examination, I realized that they hadn’t pushed the top onto the base on one side. All it needed was a quick shove and it would be okay. I pushed and pushed and worked up quite a sweat to shove it back on its base properly. I think after all that work I needed a shower at least that was what the young man on the right told me. After several hours of work I managed to straighten the tower at last. I thought the city would be pleased and they were! They all started waving their hands and proclaimed me “Un Idiota” and gave me the title “Distruttore di Reliquie”. 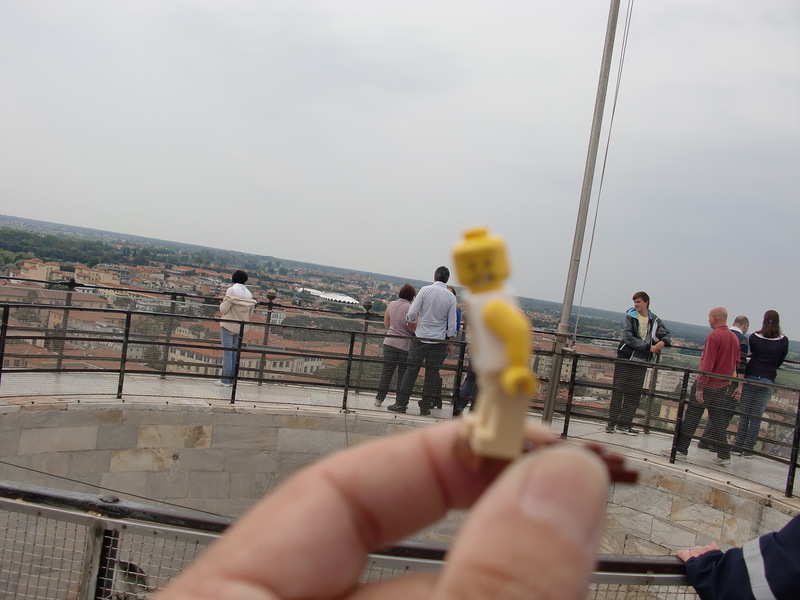 After a short while there was a rumbling noise and when I climbed to the top of the tower I found that it was actually leaning farther!! Allow me to “straighten” bubba’s story a little. The tower was leaning, the tower is still leaning, the tower will always be leaning and no one called Bubba a “Destroyer of Relics”. One can climb an interior circular staircase to the top and Bubba did find climbing a leaning circular staircase quite a challenge. Bubba continues with his version of reality. 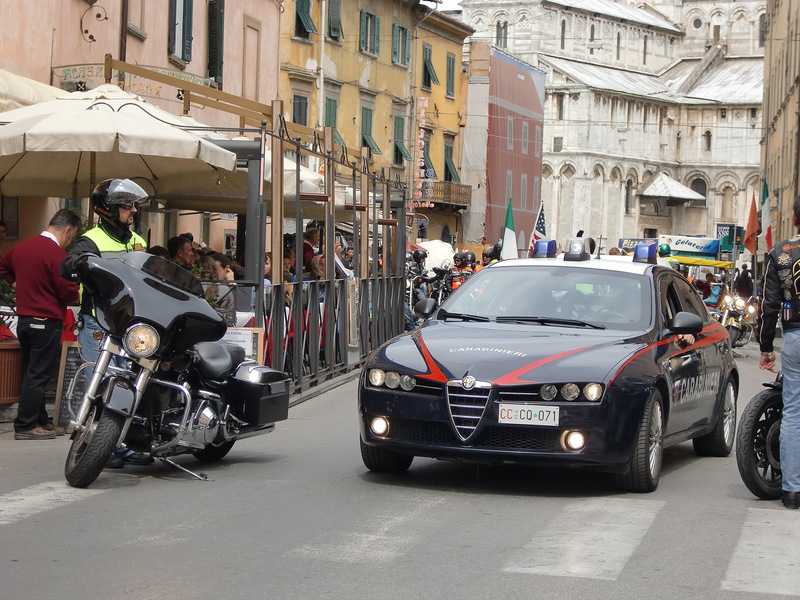 I rode into town with a gang of Italian bikers. I especially bonded with one named “Pops”. 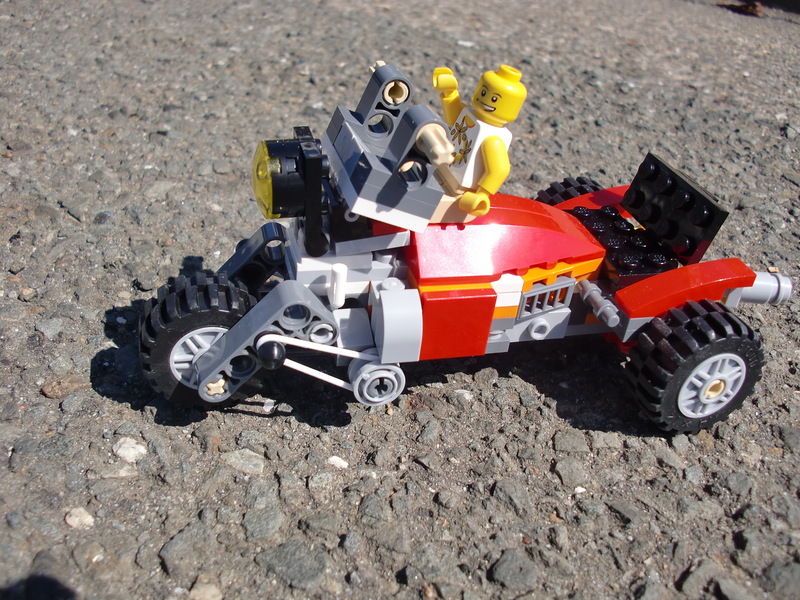 He looked like the toughest motorcycle hooligan around. 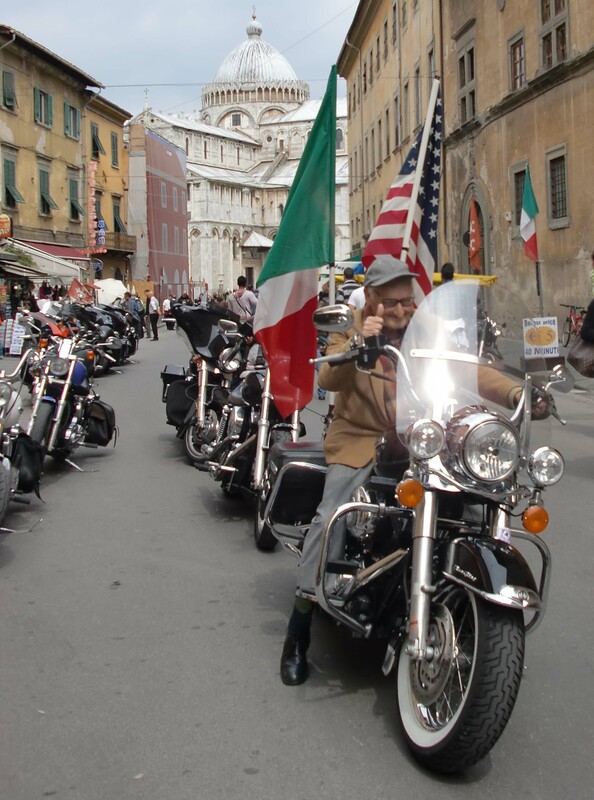 I threw my US flag up next to his Italian one and we tore through the city. His group of Harleys had a hard time keeping up with me. Soon, the police were after us. I ducked down a side street when this Officer was looking the other way. The waitress on the corner tipped them off and while I escaped, the rest of the gang was caught. I had enough of law breaking. 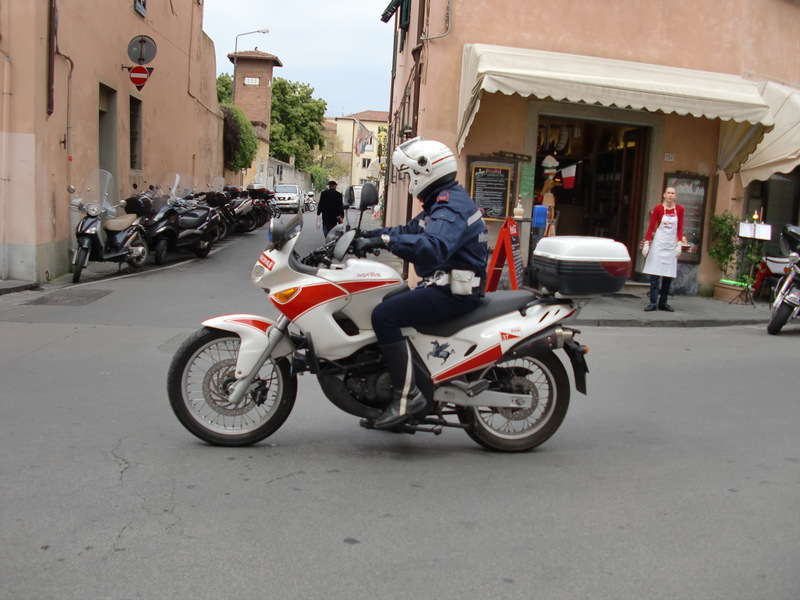 I didn’t want to be a scofflaw and the last thing I wanted to do was end up in an Italian jail so I slowly motored back to Firenze. 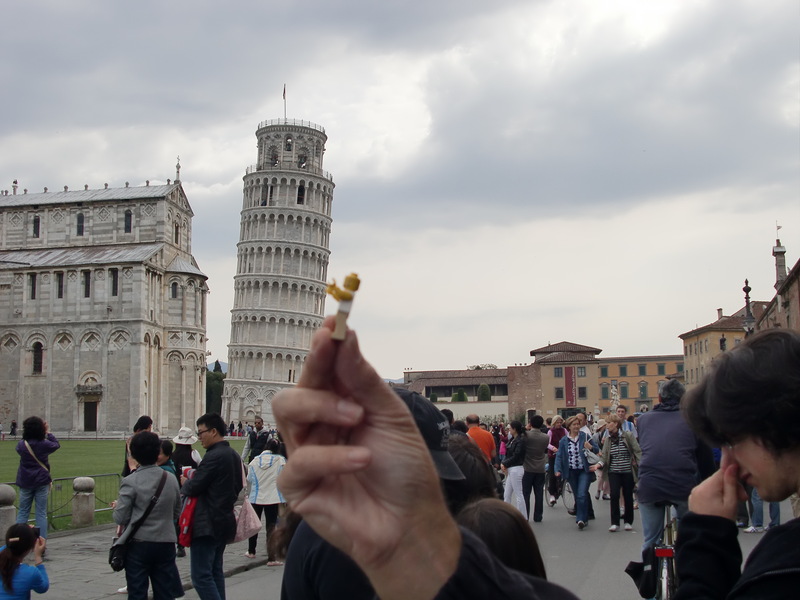 This entry was posted in Holiday, Humor, italy, Legos, Travel and tagged Harley, leaning tower, motorcycles, Pisa. Bookmark the permalink.